Before :- R.S. Sarkaria and O. Chinnappa Reddy, JJ. Criminal Appeal No. 1801 of 1980. D/d. 10.10.1980. JUDGMENT O. Chinnappa Reddy, J. - On August 13, 1979, Gurnam Singh a resident of Chandigarh submitted a complaint to the Judicial Magistrate Ist Class Chandigarh, alleging that the appellant H. S. Bains accompanied by two persons had come to his house in a car on the morning of August 11, 1979, at about 8 a. m., trespassed into the house and threatened to kill him and his natural son if he did not take away his natural son Aman Deep Singh from the house of his sister Bakshish Kaur, who had taken the boy in adoption as she was issueless. Bakshish Kaur was the widow of the brother of the appellant and the adoption made by Bakshish Kaur was not to the liking of the appellant. It was alleged in the complaint that the appellant was armed with a revolver which he pointed at the complainant. The complainant raised a hue and cry. The accused and his companions fled away in their car. As August 11, 1979 and August 12, 1979 were holidays, he was able to file the complaint only on 13th August, 1979. The learned Magistrate to whom the complaint was submitted ordered an investigation by the police under Section 156 (3) of the Code of Criminal Procedure. The police, after completing the investigation, submitted a report to the Magistrate under Section 173 of the Code of Criminal Procedure stating that the case against the appellant was not true and that it might be dropped. The police arrived at the conclusion that the case against the appellant was not true as their investigation revealed, according to them, that the appellant was at Amritsar with Shri Jai Singh, District Magistrate of Amritsar at 9 a.m. on August 11, 1979 and it was, therefore, impossible for him to have been at Chandigarh at 8 a.m. on August 11, 1979. The learned Magistrate after perusing the report submitted by the police disagreed with the conclusion of police, took cognizance of the case under Sections 448, 451 and 506 of the Indian Penal Code and directed the issue of process to the appellant. Aggrieved by the issue of process, the appellant filed Criminal Miscellaneous Case No. 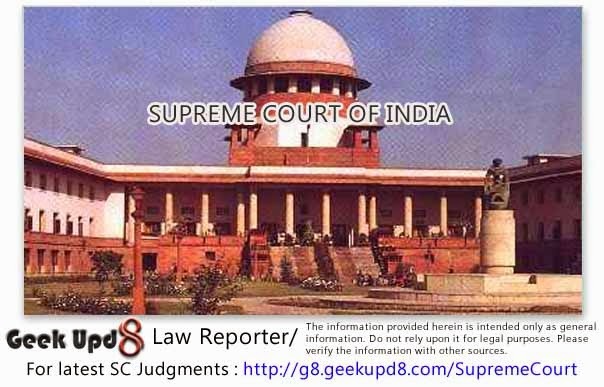 26-M of 1980 in the High Court of Punjab and Haryana to quash the proceedings before the Magistrate. The application was dismissed by the High Court and the appellant filed a petition for the grant of special leave to appeal against the order of the High Court. We granted special leave and straightway heard the appeal with the consent of the parties. 2. Shri Kapil Sibal urged that the Magistrate had issued process to the accused without recording the statement, on oath, of the complainant and the witnesses under Section 200 Criminal Procedure Code and therefore, he must be taken to have taken cognizance of the case under Section 190 (1) (b), as if upon a police report. Shri Sibal submitted that the Magistrate was not competent to take cognizance of the case as if it was upon a police report as the report under Section 173 Criminal Procedure Code submitted to him disclosed that no offence had been committed by the accused. According to Shri Sibal, in the circumstances of the case, the Magistrate, on receipt of the report under Section 173, Criminal Procedure Code to the effect that the case against the accused was not proved, had only two options before him. He could either order a further investigation or he could take cognizance of the case as if upon a complaint, record the statements of the complainant and witnesses under Section 200, Criminal Procedure Code and then proceed to issue process if he was satisfied that process ought to be issued. In any case Shri Sibal submitted that the order of the Ist Class Magistrate taking cognizance of the case was so unjudicial that it ought to be struck down. Shri Sibal invited our attention to two decisions of this Court : Abhinandan Jha v. Dinesh Mishra, (1967) 3 SCR 668 and Tula Ram v. Kishore Singh, (1978) 1 SCR 615. 3. Chapter XII of the Code of Criminal Procedure 1973 deals with information to the Police, and their powers to investigate. Section 156 (1) vests in an officer in charge of a Police Station the power to investigate any cognizable case, without the order of a Magistrate. Section 156 (3) authorises a Magistrate, empowered under Section 190, to order an investigation as mentioned in Section 156(1). The provisions from Section 157 onwards are concerned with the power and procedure for investigation. Section 169 prescribes that if upon an investigation it appears to the Officer in charge of the Police Station that there is no sufficient evidence or reasonable ground of suspicion to justify the forwarding of the accused to a Magistrate, such officer shall, if such person is in custody, release him on his executing a bond (with or without sureties) to appear if and when required, before a Magistrate empowered to take cognizance of an offence on a police report and to try the accused or commit him for trial. Section 170 prescribes that if upon investigation it appears to the officer in charge of the Police Station that there is sufficient evidence or reasonable ground of suspicion to justify the forwarding of the accused to a Magistrate, such officer shall forward the accused under custody to a Magistrate empowered to take cognizance of an offence on a police report and to try the accused or commit him for trial. If the offence is bailable the officer shall take security from him for his appearance before such Magistrate on a day fixed and for his attendance from day to day before such Magistrate until otherwise directed. Section 173 (1) casts a duty upon the police officer to complete the investigation without unnecessary delay. Section 173 (2) prescribes that as soon as the investigation is completed the officer in charge of the police station shall forward to a Magistrate empowered to take cognizance of an offence on a police report, a report in the prescribed form stating the various particulars mentioned in that sub-section. (c) upon information received from any person other than a police officer, or upon his own knowledge, that such offence has been committed". What has been extracted is Section 190 as it stands at present. Section 190 of the previous Code was slightly different. Clauses (1) (b) read as "upon a report in writing of such facts made by any police officer". In clauses (1) (c) after the word 'knowledge', the words 'or suspicion' occurred, and these words have now been omitted. 5. Chapter XV (Sections 200 to 203) of the Code deals with "complaints to Magistrates". A Magistrate taking cognizance of an offence on complaint is required by Section 200 to examine upon oath the complainant and the witnesses present, if any. Section 202 provides that a Magistrate taking cognizance of a case upon complaint, may, if he thinks fit, postpone the issue of process against the accused, and either inquire into the case himself or direct an investigation to be made by a police officer or by such other person as he thinks fit, for the purpose of deciding whether or not there is sufficient ground for proceeding. Section 203 empowers the Magistrate to dismiss the complaint, if, after considering the statements on oath (if any) of the complainant and of the witnesses and the result of the enquiry or investigation (if any) under Section 202, the Magistrate is of the opinion that there is no sufficient ground for proceeding. Chapter XVI deals with "commencement of proceedings before Magistrate" and Section 204 enables a Magistrate to issue summons or a warrant as the case may be to secure the attendance of the accused if in the opinion of the Magistrate taking cognizance of the offence there is sufficient ground for proceeding. 6. It is seen from the provisions to which we have referred in the preceding paragraphs that on receipt of a complaint a Magistrate has several courses open to him. He may take cognizance of the offence and proceed to record and statements of the complainant and the witnesses present under Section 200. Thereafter, if in his opinion there is no sufficient ground for proceeding he may dismiss the complaint under Section 203. If in his opinion there is sufficient ground for proceeding he may issue process under Section 204. However, if he thinks fit, he may postpone the issue of process and either enquire into the case himself or direct an investigation to be made by a Police Officer or such other person as he thinks fit for the purpose of deciding whether or not there is sufficient ground for proceeding. He may then issue process if in his opinion there is sufficient ground for proceeding or dismiss the complaint if there is no sufficient ground for proceeding. On the other hand, in the first instance, on receipt of a complaint, the Magistrate may, instead of taking cognizance of the offence, order an investigation under Section 156 (3). The police will then investigation and submit a report under Section 173 (1). On receiving the police report the Magistrate may take cognizance of the offence under Section 190(1)(b) and straightway issue process. This he may do irrespective of the view expressed by the police in their report whether an offence has been made out or not. The police report under Section 173 will contain the facts discovered or unearthed by the police and the conclusions drawn by the police therefrom. The Magistrate is not bound by the conclusions drawn by the police and he may decide to issue process even it the police recommend that there is no sufficient ground for proceeding further. The Magistrate after receiving the police report, may, without issuing process or dropping the proceeding decide to take cognizance of the offence on the basis of the complaint originally submitted to him and proceed to record the statements upon oath of the complainant and the witnesses present under Section 200 Criminal Procedure Code and thereafter decide whether to dismiss the complaint or issue process. The mere fact that he had earlier ordered an investigation under Section 156 (3) and received a report under Section 173 will not have the effect of total effacement of the complaint and therefore the Magistrate will not be barred from proceeding under Sections 200, 203 and 204. Thus a Magistrate who on receipt of a complaint, orders an investigation under Section 156 (3) and receives a police report under Section 173 (1), may, thereafter, do one of three things : (1) he may decide that there is no sufficient ground for proceeding further and drop action : (2) he may take cognizance of the offence under Section 190(1)(b) on the basis of the police report and issue process : this he may do without being bound in any manner by the conclusion arrived at by the police in their report : (3) he may take cognizance of the offence under Section 190(1)(a) on the basis of the original complaint and proceed to examine upon oath the complainant and his witnesses under Section 200. If he adopts the third alternative, he may hold or direct an inquiry under Section 202 if he thinks fit. Thereafter he may dismiss the complaint or issue process, as the case may be. 7. In Abhinandan Jha v. Dinesh Mishra, AIR 1968 SC 117 the question arose whether a Magistrate to whom a report under Section 173(1) had been submitted to the effect that no case had been made out against the accused, could direct the police to file a charge-sheet, on his disagreeing with the report submitted by the police. This Court held that the Magistrate had no jurisdiction to direct the police to submit a charge sheet. It was open to the Magistrate to agree or disagree with the police report. If he agreed with the report that there was no case made out for issuing process to the accused, he might accept the report and close the proceedings. If he came to the conclusion that further investigation was necessary he might make an order to that effect under Section 156 (3). If ultimately the Magistrate was of the opinion that the facts set out in the police report constituted an offence he could take cognizance of the offence, not withstanding the contrary opinion of the police expressed in the report while expressing the opinion that the Magistrate could take cognizance of the offence notwithstanding the contrary opinion of the police the Court observed that the Magistrate could take cognisance under Section 190 (1) (c)'. We do not have any doubt that the reference to 'Section 190 (1) (c)' was a mistake for 'Section 190 (1) (b)'. That appears to be obvious to us. But Shri Kapil Sibal urged that the reference was indeed to Section 190 (1) (c) since at that time Section 190 (1) (c) included the words 'or suspicion' and the Court had apparently taken the view that the Magistrate could take cognizance of the offence not under Section 190 (1) (b) as if on a police report but under Section 190 (1) (c) as if 'on suspicion'. We do not agree with this submission. Section 190 (1) (c) was never intended to apply to cases where there was a police report under S 173 (1). We find it impossible to say that a Magistrate who takes cognizance of an offence on the basis of the facts disclosed in a police report must be said to have taken cognizance of the offence of suspicion and not upon a police report merely because the Magistrate and the Police arrived at different conclusion from the facts. The Magistrate is not bound by the conclusions arrived at by the police even as he is not bound by the conclusions arrived at by the complainant in a complaint. If a complaint states the relevant facts in his complaint and alleges that the accused is guilty of an offence under Section 307 Indian Penal Code the Magistrate is not bound by the conclusion of the complainant. He may think that the facts disclose an offence under Section 324, I.P.C. only and he may take cognizance of an offence under Section 324 instead of Section 307. Similarly if a policy report mentions that half a dozen persons examined by them claim to be eye witnesses to a murder but that for various reasons the witness could not be believed, the Magistrate is not bound to accept the opinion of the police regarding the credibility of the witnesses. He may prefer to ignore the conclusions of the police regarding the credibility of the witnesses and take cognizance of the offence. If he does so, it would be on the basis of the statements of the witnesses as revealed by the police report. He would be taking cognizance upon the facts disclosed by the police report though not on the conclusions arrived at by the police. It could not be said in such a case that he was taking cognizance on suspicion. 8. In Tula Ram v. Kishore Singh, AIR 1977 SC 2401, the Magistrate on receiving a complaint, ordered an investigation under Section 156(3). The police submitted a report indicating that no case had been made out against the accused. The Court, however, recorded the statements of the complainant and the witnesses and issued process against the accused. It was contended that the Magistrate acted without jurisdiction in taking cognizance of the case as if upon a complaint when the police had submitted a report that no case had been made out against the accused. This Court held that the Magistrate acted within his powers and observed that the complaint did not get exhausted as soon as the Magistrate ordered an investigation under Section 156 (3). We are, therefore, unable to agree with the submission of Shri Sibal that the Magistrate acted without jurisdiction in taking cognizance of the offence and issuing process to the accused notwithstanding the fact that the police report was to the effect that no case had been made out. 9. We do not propose to say a word about the merits of the case since it was entirely a matter for the learned Magistrate to take cognizance or not to take cognizance of the several offences. We however wish to observe that it was wholly unnecessary for the Magistrate to write such an elaborate order as if he was weighing the evidence and finally disposing of the case. We also desire to say that some of the observations of the learned Magistrate about the District Magistrate were wholly uncalled for as the latter was yet to appear before him as a witness. We are told that the case has already been transferred to some other Magistrate. It is, therefore, unnecessary to say anything further in the matter. The appeal is, therefore, dismissed.